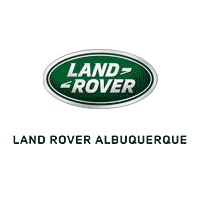 Welcome to Albuquerque’s Land Rover Parts Center! At our parts center, we want to provide you with genuine OEM Land Rover parts to ensure your vehicle is always running like new. Our customers in Albuquerque, Rio Rancho, and South Valley will have a large selection of factory OEM Land Rover parts and accessories that can guarantee you’ll have just what you need for your next at-home project or maintenance repair. Whether you’re driving a Land Rover Range Rover, a Land Rover Discovery, or any of our models, we can help you get the right parts, right away. Our highly-knowledgeable, factory-trained auto technicians are ready and willing to help you find the right Land Rover parts for all your projects, and explain in detail what you’ll need for which model, and so on. We know that your biggest priority is getting your Land Rover vehicle running in its best shape, and you might not have a ton of time to spend on the phone with us. That’s why we have our parts request form right here on our website, so that ordering your Land Rover parts is simple and quick. Just fill out some information, including your contact info and some details about your vehicle, plus the Land Rover parts you’re requesting. We’ll have your parts ready for you to pick up in no time. Or, we can deliver the parts right to your door! Tires are parts, too, and a vital part of keeping your vehicle moving (need we say more?). Our Land Rover Tire Source is the answer to all your tire questions, concerns, and order needs. Just fill out some information about your vehicle, and we’ll match up the right tires for your convenience. Contact Our Land Rover Parts Center Today! If you are in the areas of Albuquerque, Rio Rancho, or South Valley, and in need of some new parts for your Land Rover Vehicle, contact us today! We’ll happily answer any questions you have about our genuine OEM Land Rover parts, or what you’ll need for any project.